The Camp DeWolfe Friends program is for camper families, friends, clergy, alumni, supporters and neighbors who have a desire to support Christ’s ministry at Camp DeWolfe. 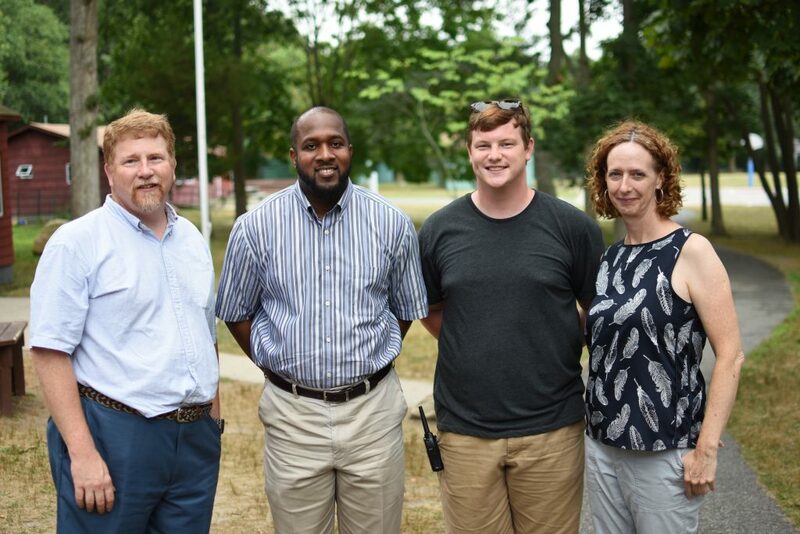 The vision of Camp DeWolfe is to support spiritual formation in the Episcopal Diocese of Long Island. Throughout the camp’s history, since 1947, thousands of people have participated in a variety of programs on the camp property; making lifelong friendships, experiencing the beauty of the Long Island Sound, developing leadership skills and deepening their spiritual life in Christ Jesus. 1. Pray: Friends commit to pray for Camp DeWolfe, the Bishop, the Board and the staff; for continued encouragement, strength and wisdom to serve Christ through the ministry at Camp DeWolfe. Friends commit to pray for campers’ and guests’ safety, open hearts and enjoyment as they experience the beauty of creation around them. 2. Share: Friends commit to be a Camp DeWolfe ambassador to those in their local community and networks. Friends share information about camp programs and stories of Christ’s work at Camp DeWolfe. Friends will receive seasonal updates about the camp from the Director. These updates will inform Friends about current projects, programs, events, staff bio’s, and other announcements. 3. Support: There are many opportunities to support Camp DeWolfe in practical ways. These opportunities include seasonal volunteer projects such as beach clean ups, summer camp preparation, maintenance support, painting projects, camp close-down, or even helping out in the office! Friends contribute a suggested donation of $300 annually to support the ministry of Camp DeWolfe. Larger donations are encouraged for specific projects and capital improvement. Camp DeWolfe hosts an annual “Friends” dinner with the Board and camp staff to celebrate successes of the year and look forward to upcoming ministry.